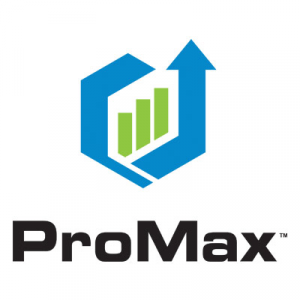 From its ground-breaking release in 1994, to being the first online desking tool in 2002, ProMax has been consistently proven to be the most innovative and exciting automotive desking software product available. 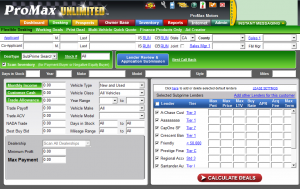 Widely regarded as the automotive industry’s most comprehensive web-based front-end application, it offers a fully integrated approach to maximizing profits. 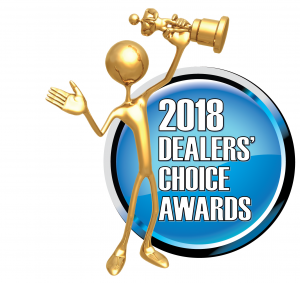 ProMax desking has won first place in Auto Dealer Today's Dealer Choice Awards for the last 8 years in a row, and 11 out of the last 14. Pushback from our DMS is not correct sometimes. Pros: Good desking tool, just doesn't get along with our DMS. My guys tell me this is a super desking tool. Pros: Most efficient at putting a deal together, transparent and saves a lot of time. The smoothest and best desking tool. Pros: This is so quick and efficient that I can't ask for more. This compares to nothing else available. Pros: The best and most efficient for desking I have ever used in 30 years. Hard to beat this platform. Pros: There's not a better desking program out there that I've heard of. They set the bar. Pros: This is the smoothest and best desking tool out there. Superb! Can't I give it a 10? Pros: The best desking software in the business, and I've used a few. Once you use this, you are spoiled! Pros: It is so quick and easy to use this, all the information is there for the customer, very transparent. This gets it done, very efficient and easy. Pros: Can't say anything negative. It's a great tool that speeds up the process and is very accurate. The best desking tool we've used. Pros: It is so effient and easy to use, there is nothing even close to as good!